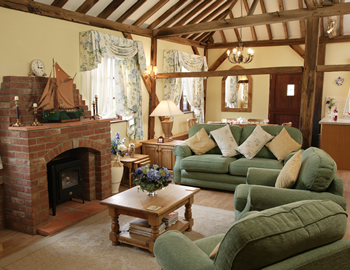 A romantic holiday cottage fitting harmoniously in the countryside surrounding Park Hall, it is The Cart Lodge's luxury accommodation and interiors that will impress most. The china is Wedgwood, the tiles Fired Earth, the curtains a perfect combination of Villa Nova, Harlequin and Nouveau fabrics. 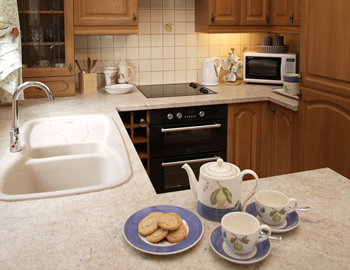 In the beautiful fitted kitchen you will find every appliance you would expect to find in a deluxe country home. Decorated using soft blues and primrose, the colour theme blends through to the dining room and spectacular lounge. 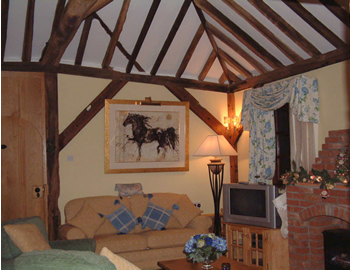 Passing through a beamed archway into a magnificent lounge, the standards of excellence that have won this romantic holiday cottage many awards can be seen at first hand. Relax and unwind in one of the deep comfortable sofas while browsing through a selection of the many magazines and books thoughtfully provided. Fall asleep listening to your favourite music in front of the fireside; after all you are here to enjoy your romantic short break. 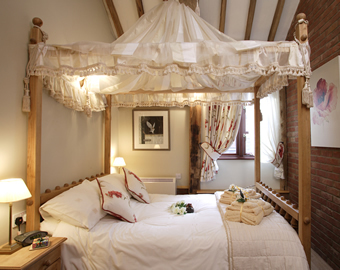 If you like bedrooms of character you will love the four-poster bedroom in this very romantic holiday cottage and in the en-suite bathroom you will find the ultimate in double showers. 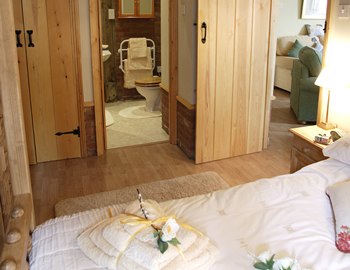 Here in The Cart Lodge can be found some of the many special touches that make Park Hall Country House & Cottages so uniquely special. The splendour and history that surrounds Park Hall Country Cottages combined with 400 acres of privately owned countryside, beautiful coastal beaches and leisure pursuits to suit all makes this a very special place to visit for your romantic short break.